The MEMOLUB® MPS-02 (Multi-Point System) is a precise, reliable, and easy to install system that can lubricate 2 lube points with one lubricator. 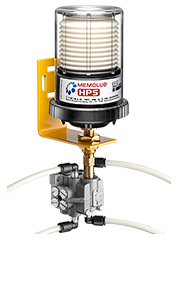 All of the materials required are available to quickly put your MEMOLUB® HPS lubricator to profitable use in a multi-point application. Purchase pre-filled nylon tubing and make installation as simple as "Plug 'n Lube"
The MPS-02 System consists of a MEMOLUB® high pressure lubricator, a distribution valve which meters the lubricant to all lube points, a mounting bracket and push-in tube fittings for your bearings. 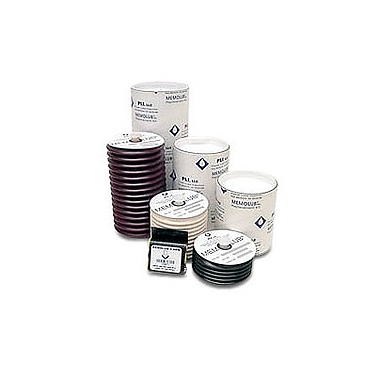 All MEMOLUB® MPS systems have been primed before shipment and are ready for use. 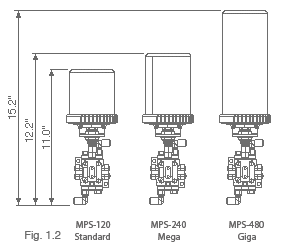 On first installation of the MPS system, all lube lines and bearings should be pre-charged with the same lubricant that was ordered with the MEMOLUB® lubricator (prefilled tubing is available and sold separately). 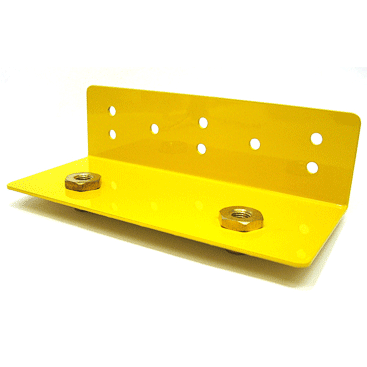 This system is especially suited for applications with several lube points in close proximity. There are two system types available; one for grease applications and one for oil applications. When ordering, be certain to specify the system appropriate for your application. 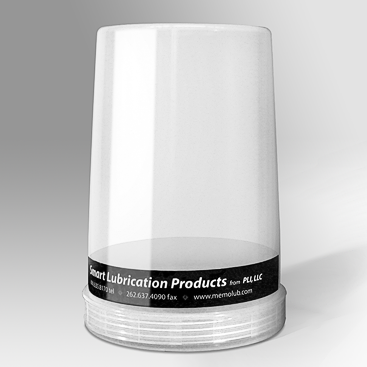 Protective Cover: To protect your MEMOLUB® lubricator in harsher evironments we offer a nylon protective cover. This cover is sold seperately and is available for all three size lubricators. Prefilled Nylon Tubing: Nylon tubing required to complete the installation is sold separately. 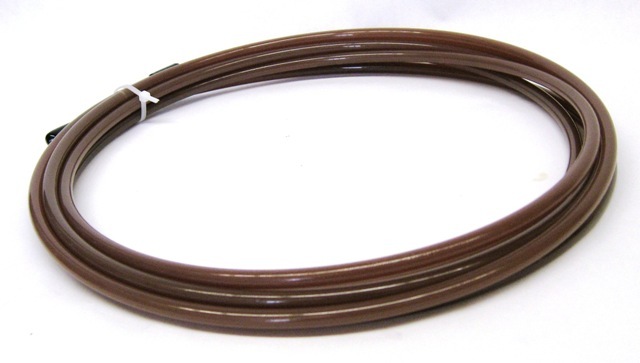 The standard size tubing is 5/16” OD, but other sizes are available. Tubing can be purchased two ways; pre-filled in 5 foot increments from 5 to 30 feet, or empty in any length from 1 to 100 feet. 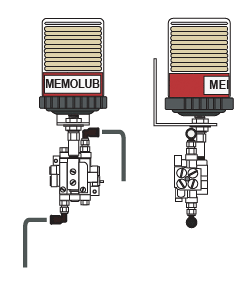 External On/Off Control When using the MEMOLUB® EPC, EPS or PLCd lubricators. Lubricant Flow Rate .3cc per divider block outlet, outlets can be cross ported to increase volume output. 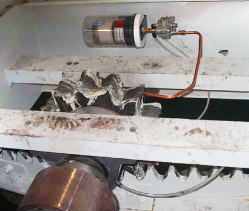 Operation Electro-Mechanical- Positive Displacement Pump feeds a progressive divider block. Facility was using gas-generated, electrochemical lubricators on each lube point. These lubricators produced inconsistent lubrication due to insufficient output pressure and temperature variations. 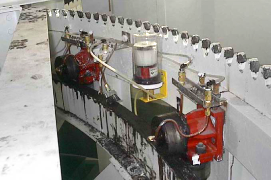 Solution 1 : Four Giga 8-point MEMOLUB® lubrication systems replaced 32 electrochemical lubricators. These systems were installed to lubricate the rollers on the water softener equipment. While the equipment turns, the MEMOLUB® automatically delivers a consistent, time-controlled, metered quantity of lubricant to all rollers. 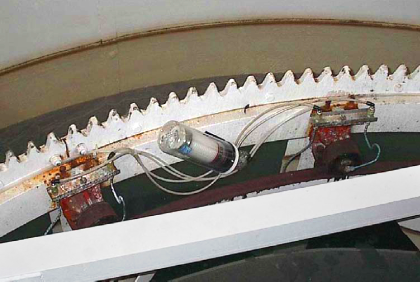 Solution 2: One Mega 3-point MEMOLUB® lubrication system was installed to lubricate the drive gear assembly. Two outlets lubricate the drive gear bearings and one outlet drops grease directly onto the open gear. Solution 3: One 2 point MEMOLUB® Splitter system was installed to apply grease directly to the top and side of inner rail using brushes. Lubrication while the machine is in operation ensures that the lubricant is evenly and optimally distributed. This results in decreased lubricant consumption and increased machine life. In addition, the installation of a MEMOLUB multi-point system drastically reduces the likelihood of contamination from excess grease. 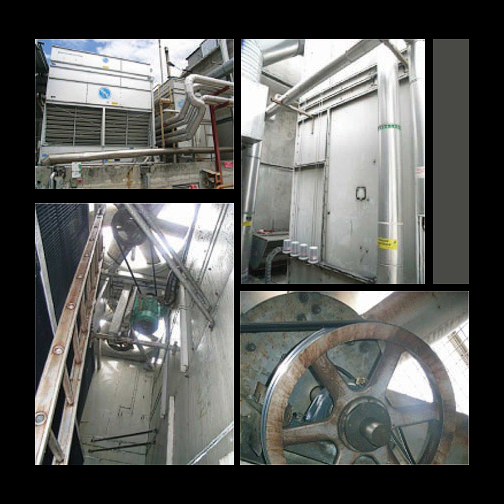 Manual lubrication of fan bearings with difficult and dangerous access in a wet enviroment. Customer found chemical lubricators unreliable. Remote mounted single-point MEMOLUB® Mega units on a 6 month setting assuring reliable and safe lubrication.